Destiny's Art Lead Mr Tom Doyle has described the rocket launcher known by the name of 'Gjllarhorn' as being “Hulk Hogan’s belt in weaponized form.”. We think it looks a bit ostentatious for the battle field but what would we know? Heroes rise and fall, before they pass into legend. Weapons that weather the test of time can earn equally bold reputations as they become hoisted by new warriors. 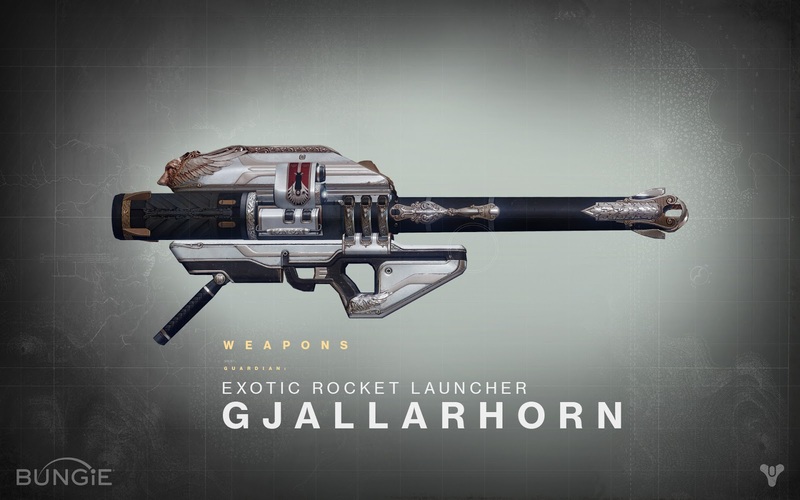 To hear Tom Doyle talk about the Gjallarhorn, this rocket launcher sounds more like a trophy than a deliverer of explosive ordnance. After some brainstorming, and a catalyst that came from a concept long since lost to the chaos of the Bungie creative process, our designers envisioned a way to infuse this horn of destruction with a beastly spirit.